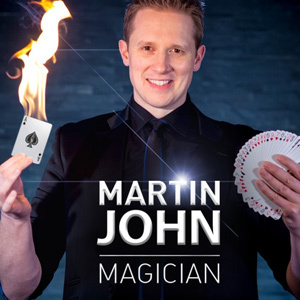 My name is Martin John, I am a Close-up & Comedy Stage Magician based in London. Over the last 12 years, I have performed over two thousand shows worldwide as a professional Close-up Magician and hundreds of shows as a Comedy Stage Magician. 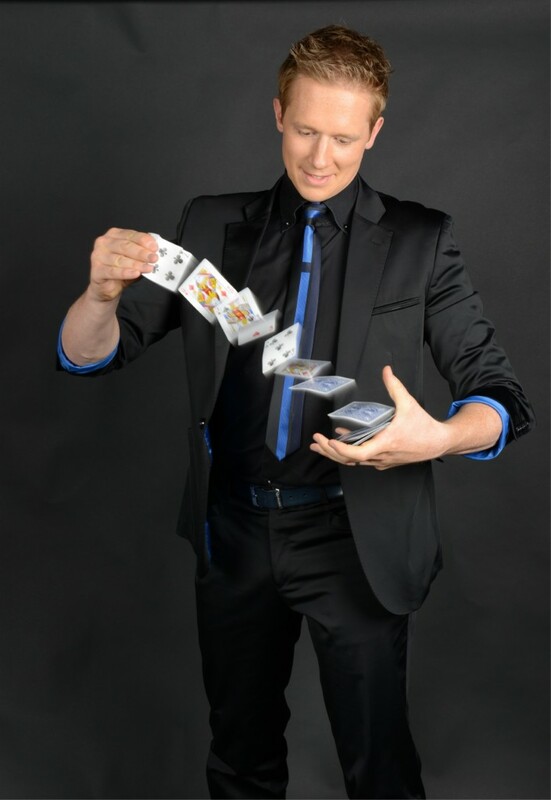 I started performing as a Close-up Magician when I was 18 years old in Paignton, Devon. At 21 I had a few years of experience and decided to jet set off to Spain with the intention to make a solid living as a Professional Magician. I began by performing in bars for tips 7 nights per week, then was noticed by the management of the famous 2000 seater Benidorm Palace – a dinner / dance show similar to the Moulin Rouge. Performing 5 nights per week on spotlight at the Palace gained me masses of experience as a Close-up Magician. Over the 5 years that I was there I ending up performing over 1000 shows! I was then asked by the owners whether I performed any stage magic, which was actually something that I always had wanted to get into. At that point I decided to develop a double-act ‘Dove Act’ with another Magician, making 6 doves and a 1 metre long green winged macaw parrot appear on stage! The show proved a great success but was only the beginning of what was about to come. As it was the Benidorm Palace’s 30 year anniversary, they wanted something BIG! There was an airport scene that they had started to choreograph and an idea was floating around to purchase a small fibreglass plane as a decoration and have the dancers come out of it. A small fibreglass plane? How about making a real 16 metre long Lear Jet APPEAR on stage instead?! The idea was accepted with a lot of interest! After 8 months of planning, a trip to Las Vegas to purchase the Lear Jet and of course to see the World’s greatest Magicians in action, David Copperfield, Lance Burton, Dirk Arthur, Rick Thomas & Mac King…the lear jet arrived safe and sound in Spain. In 2006, the 30th anniversary show opened. An amazing dinner & dance show at a 2000 seater venue with a double-act dove act and a lear jet appearance…the world’s largest stage illusion. I still continued to perform Close-up table-to-table before the main show started, until one evening 5 years later a man at a table that I was performing asked me if I had ever performed on cruise ships. “That is the most amazing Close-up Magic I have ever seen!” he said as I made his signed card appear in my mouth. Who knows how many Close-up Magicians he had seen! !…but he turned out to be the father-in-law of a top cruise ship booking agent in the UK. One month later, I flew back to the UK to perform at their showcase and hey presto…I’m on Cruise Ships. At 30 year old I am now based in South London performing my Close-up and Comedy Stage Magic act across the country at Corporate Events, Weddings and Parties. Thank you for reading this post, visit my site above and if I you would like to talk to discuss your upcoming event feel free to contact me directly on 07564 032 857.